View More In Toaster Oven Cookware - Page 4. This is a great set together for your standard sized toaster oven baking needs. The non-stick surface adds ease to cleaning. The perforated baking sheet fits perfectly in the 8 1/2" length X 6 1/2" wide X 3/4" deep included baking pan. 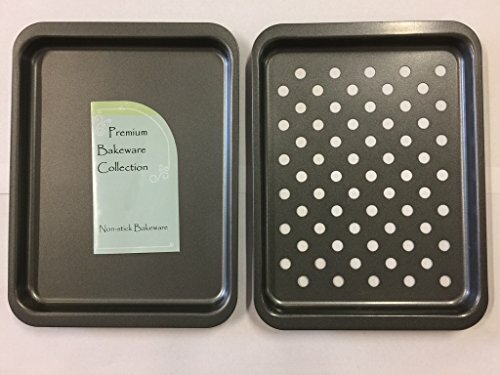 If you have any questions about this product by Premium Bakeware Collection, contact us by completing and submitting the form below. If you are looking for a specif part number, please include it with your message.